Graduates of the Scuola Mo saicisti del Friuli are ready to practice this fascinating profession around the world. 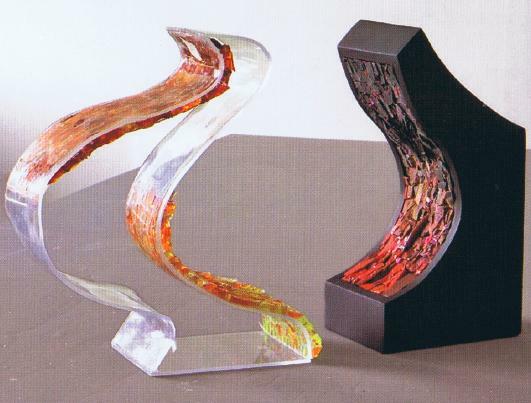 Their activities spread the school’s creative example to art schools and mosaic workshops in many different countries. 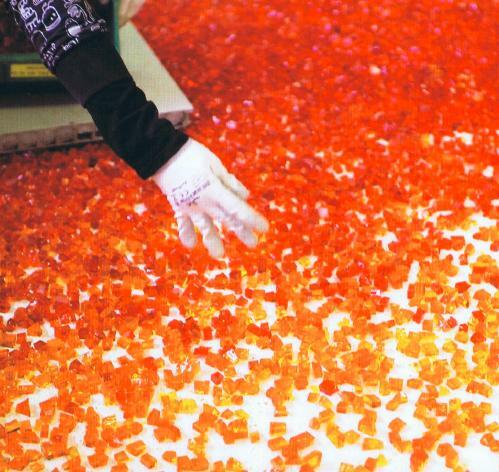 The Scuola Mosaicisti del Friuli continues to play a powerful role in maintaining the best of the mosaic tradition and in developing research and experimentation. The Scuola Mosaicisti del Friuli in Spilimbergo, located northeast of Venice in the province of Pordenone in Friuli Venezia Giulia, was founded in 1922. 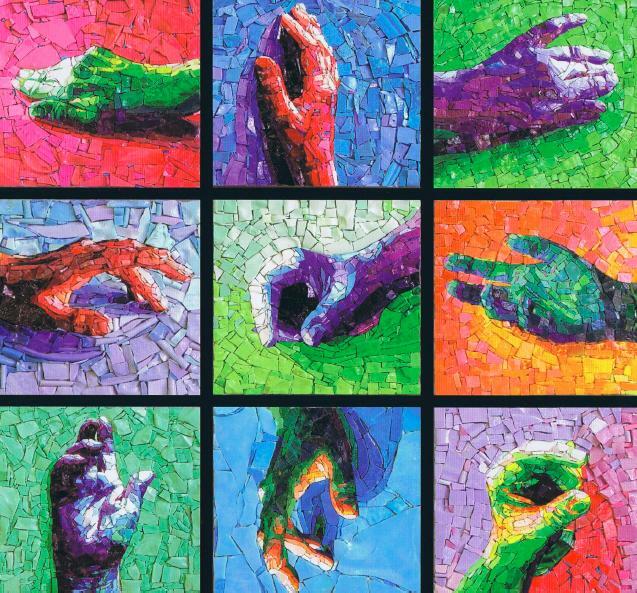 Students from all corners of the globe spend three years studying the artistic and professional aspects of mosaic work. Its expert teachers, students and management team know that it takes a lot of endurance and craftsmanship to create mosaics. The Mosaic School of Friuli is renowned throughout the world of the arts, thanks to the outstanding artistry and craftsmanship of the work produced by its graduates. The Scuola Mosaicisti del Friuli is a strong, dynamic cultural undertaking with a global reputation extending far beyond its local environment for cultiva-ting talent, giving its students a voice and teaching them the entrepreneurial skills required in the prestigious world of artistic mosaics. The school’s contacts with renowned architects, designers and artists have reinforced its position as the leading international centre for mosaic arts in the professional sector. Its students come from all over the world. 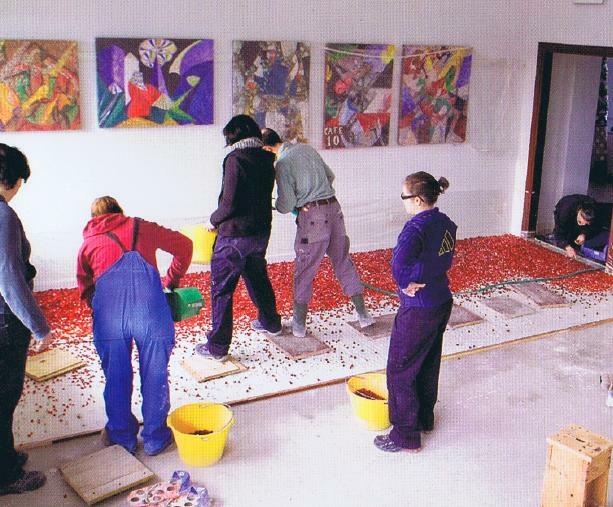 Many art schools ask the Friuli Mosaic School to organise special courses in mosaic art, and it has curated important exhibitions in numerous towns in Italy and abroad, to spread awareness of mosaic art. 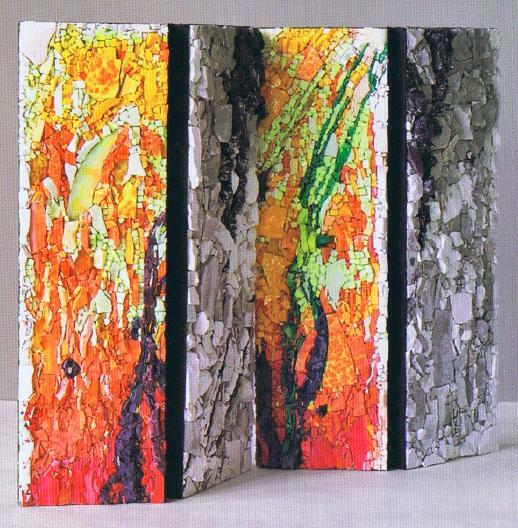 The professional course for mosaic designers lasts 3 years. The Mosaic School of Friuli was originally founded in Sequals, but was later moved to the nearby town of Spilimbergo because of its more central location. Mosaics are mainly used as a covering for floors, walls, ceilings, balconies and pillars, but they can also be employed in works of art such as vases, personalised paintings, jewels and pendants. To gain the qualification of mosaic designer students have to pass stiff examinations at the end of each year. No more than 50 students can enrol for the first-year course. Students who fail to show enough talent and ability are not allowed to continue the course.The history and culture of antiquity can be learned by copying and studying the mosaics of the Greek and Roman worlds, which reveal the refinement and fantasy of their makers. First- and second-year students have produced workpieces inspired by the timeless antique floor mosaics of Aquileia and Pompeii, using natural materials. Other work was based on fine floor mosaics found in Turkey. 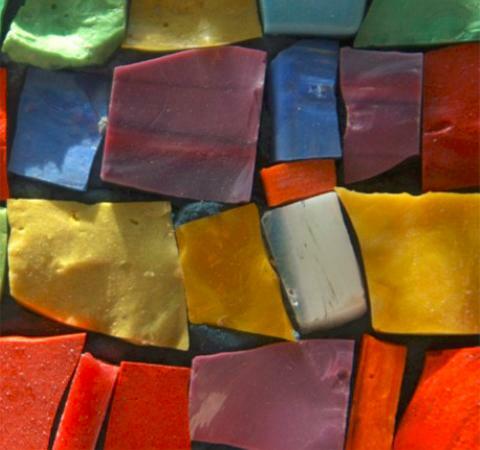 ’Glass paste’ tesserae - fragments of opaque coloured glass - has been used to make polychrome mosaics since the times of antiquity. First-year students study the properties of glass paste in depth and learn how to cut it. In the second year, they learn how to make modern floor mosaic and apply Byzantine techniques. 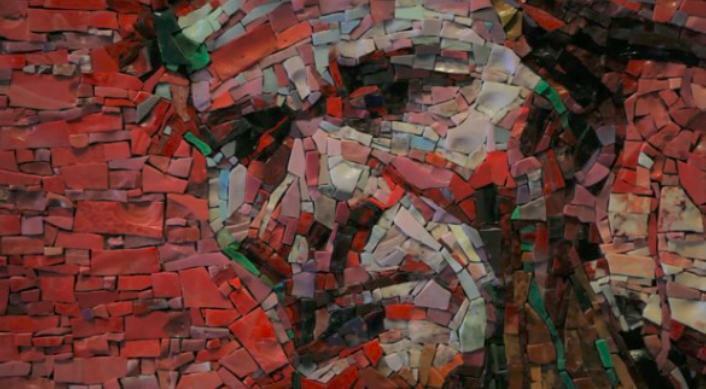 In the third year, students create contemporary mosaics experimenting with different materials. The Italian mosaicist Francesco Parutto at work in his studio in Spilimbergo. Francesco Parutto stu-died at the Mosaic School in Spilimbergo, and set up his own company EFFE PI a few years ago. Photo right: A thee-dimensional work of art by Fran-cesco Parutto, who is represented in the Nether-lands and other countries by Toffolo International Relations from Weert (www.toffolo.nl). 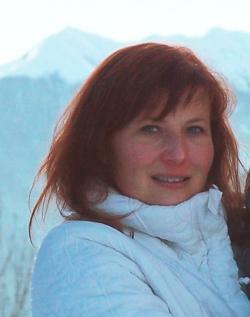 Owner/manager Antonietta Toffolo is active as a language teacher and organises trips to Italy for tourists and students. The trips include guided tours to places of interest such as the Mosaic School in Spilimbergo. 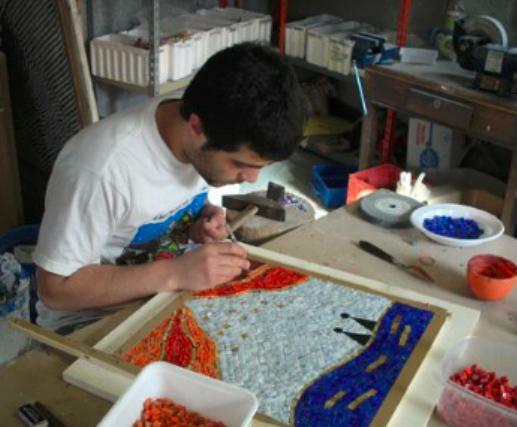 Toffolo International Rela-tions also gives workshops in a number of subjects, including mosaic-making. Antonietta Toffolo’s father Pietro Felice Toffolo, who died in 1987, earned his living as a worker in terrazzo, mosaics and granite in the Netherlands. He had a stonemasonry compa-ny in Eindhoven. The marble floors and staircases in the old Municipal Theatre, the present Park Theatre in Eindhoven, were laid by him. 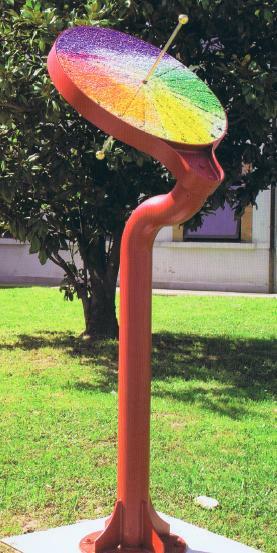 “Unvase”, final piece produced during the second course of the Scuola Mosaicisti del Friuli, 2011. Danila Venuto - A true passion for mosaics - Friuli is the cradle of mosaics, and is world-famous for the mosaic art it has produced. Many men emigrated from the region starting in the 16th century up until the 20th century and they took their terrazzo and mosaic craftsmanship throughout the world. One of the teachers at the school of Friuli is Danila Venuto, who teaches the history of mosaics. She studied for 5 years at the University of Udine, before her appointment at Spilimbergo. Students at the Mosaic School in Spilimbergo study mosaic (in particular Greek and Roman style, Byzantine style, modern style and contem-porary style), terrazzo design, colour theory, geo-metric, applied geometry, basic computing, com-puter graphics, material technology and the his-tory of mosaic. Second-year students study and apply Byzantine mosaic techniques. In the third year students explore contemporary mosaics, research and experimentation. 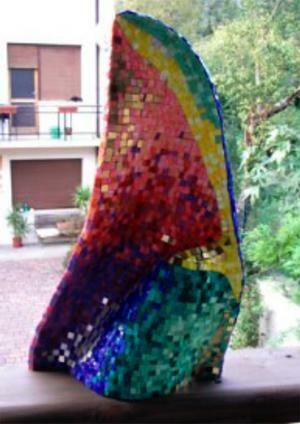 A select number of graduates are admitted to the speciali-sation course, where they focus mainly on contemporary subjects and projects that require not just technical know-how, but also understan-ding of the intentions of the artist whose work they are rendering into mosaic and reflection on the most appropriate interpretative solution. They also produce their own interpretations of impressive art works.